We have experts available for speaking engagements and the media. Please feel free to reach out to any of these speakers directly. If you need help finding someone with the expertise you’d like, just contact our press folks! Would you like to be included on this list? Let us know! Deb Bryant’s primary focus in on the adoption and use of open source software and open development models in the public sector through her work in private and public industry and academia. She works with public and private enterprise on their approach to open source adoption, policy, governance, ecosystems and economic development. She’s also passionate about open and transparent government and the use of open source as an essential tool to support those goals. Deborah serves on numerous boards and councils with public trust agendas and an emphasis on open source as enabling technology; National Steering Committee for Open Source for America; Board Adviser to Open Source Digital Voting Foundation, Code for America and Civic Commons, and Intrahealth International’s Open Council. Recently she was appointed to a three year term as a Board Director by the Open Source Initiative (OSI). During her previous role as Public Sector Communities Manager at Oregon State University’s Open Source Lab “(OSU OSL)” Deborah founded the Government Open Source Conference (GOSCON). In 2010 Deborah received an O’Reilly Media Open Source Award in recognition of her contribution to open source communities and advocating its use in government. Gunnar Hellekson is the Chief Technology Strategist for Red Hat’s US Public Sector group, where he works with systems integrators and government agencies to encourage the use of open source software in government. He is co-chair of Open Source for America and one of Federal Computer Week’s Fed 100 for 2010. He is also an active member of the Military Open Source working group, on the SIIA Software Division Board, and sits on the Board of Advisors for CivicCommons. He is especially interested in cross-domain security, edge innovation, and interagency collaboration through the open source model. Ean is co-founder of Dallas-based digital media consultancy, Brainfood. He is a long-time participant in the Debian project and collaborated in the creation of the Debian Social Contract which inspired the Open Source Definition. 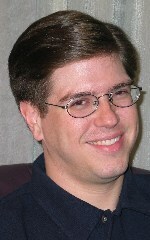 Schuessler also served as President of Software in the Public Interest, an umbrella organization that holds property and provides other services for Debian and other Free Software organizations. Ean has been a critical participant in the Free Java movement from the very beginning. Brainfood released its first commercial Java-based website on Acme.Serve in 1997, before Sun’s Jeeves server hit the market. Ean was also an early maintainer of the Debian Kaffe package and currently is active in the Apache OFBiz effort to create a Free Software ERP system. Ean is Chairman of the OSFA technical committee. With the help of other committee members they built a sophisticated OFBiz based community management system. John Weathersby is the founder and executive director of the Open Source Software Institute, a U.S.-based non-profit organization whose mission is to promote adoption of open source software solutions within government IT environments. Weathersby currently serves as an adviser on open source issues to a number of Federal government entities including the Department of Homeland Security, Science and Technology Directorate, the Office of the Secretary of Defense (OSD), the Defense Information Systems Agency (DISA), and the Department of the Navy. He also serves as an adviser for technology to The University of Southern Mississippi’s Office of Technology and Economic Development. Weathersby is a member of the International Advisory Panel for Enterprise Open Source Magazine and a founding executive board member of the National Association of Call Centers (NACC). John Scott is a Senior Systems Engineer and Open Technology Lead for RadiantBlue Technologies, Inc. with deep expertise in engineered systems and bridging the gap between decision-makers, scientists, and engineers to develop policies for acquiring and deploying new technologies in the Department of Defense and US Government. He has focused his career on investigating and developing ideas for how large organizations design, construct, and evolve extremely complex systems to meet National Security needs. Scott led the Defense Department’s Open Technology Development (OTD) initiative, sponsored by the Office of Secretary of Defense Advanced Systems & Concepts. OTD lays the groundwork for streamlined adoption of open source methodologies within DoD, which includes both the adoption of private sector open source software and the formation of internal communities of interest around DoD systems, including classified systems. The impact of these shifts in policy and business process include not only increased agility for the U.S. military, but also an enhanced ability to securely share capabilities with allies and bring both data and technology to bear in disaster response and humanitarian assistance operations. Previous work as a consultant to DoD includes the development of new design and testing methodologies for military networks, and the development of complex systems modeling applications for distributed systems. In tandem with his work for OSD, Scott serves as the chairman of the National Defense Industrial Association’s Command, Control, Communications and Computers (C4) division and is a member of the Editorial Board of the DoD SoftwareTech Journal.